At first glance this amazing image conjured up a fantasy teal blue marble with sparse golden streaks. 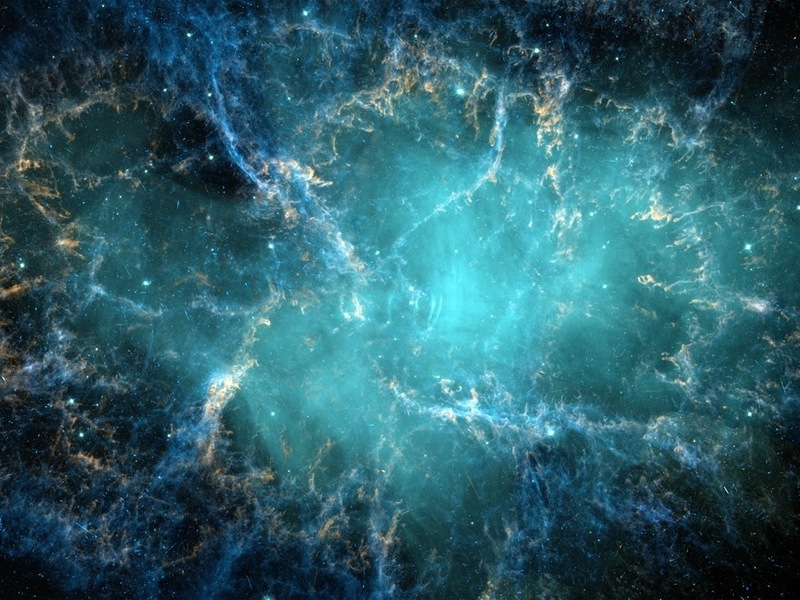 It is in fact the Crab Nebula. Don’t let it’s cool blue colour fool you, the filaments in this behemoth of a nebula are estimated to be between a scorching 11,000 and 18,000 K (19,341 – 31,941 deg Fahrenheit). The image was created using 2 narrow band filters (F502N – blue, F673 – Red, added together to make a computer generated green layer) and 1 medium band filter (F547M – Cyan) obtained from the Hubble ESO/ST-ECF Archive. All data was processed using the Fits Liberator’s Linear stretch function. Credit: Danny LaCrue & the ESA/ESO/NASA Photoshop FITS Liberator. The Picture is incredibly beautiful.